Dr. François Drémeaux, Honorary Professor, Department of History, The University of Hong Kong, is currently working on the presence of French companies in Hong Kong during the interwar period. He has kindly sent three charts showing a selection of these companies. The earlier articles are linked below. I have copied the company names below the chart so that we can add information if and when it comes in, or links to Indhhk articles when they are posted. 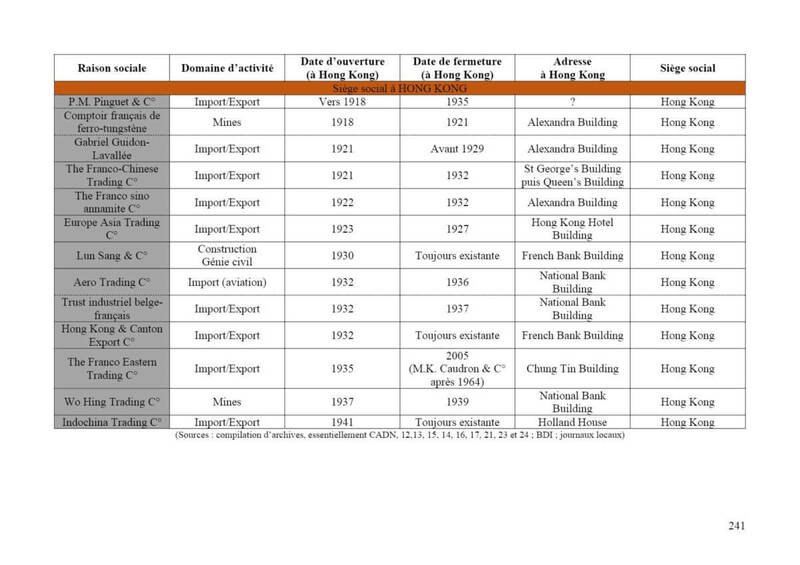 I have been unable to find an image of any of the companies noted whilst in Hong Kong. Can someone do so and/or provide information about the company? Incorporated in HK 17th October 1932. Dissolved 14th June 1935.